The river Ganga which runs for 2525 kms is not only the largest river in India but also its nerve centre as much of India’s civilization has prospered in its banks. The Gangetic plain was the seat of Maurya Empire as well as the Moghul Empire. In Hindu mythology Ganga is considered to be Goddess and she agreed to come down from heaven due to severe penance by Bhagiratha to release the souls of Sagara’s sons who were turned into ashes by the curse of a sage. The water of Ganga is considered to be holy and a dip in it is supposed to cleanse people of their sins. 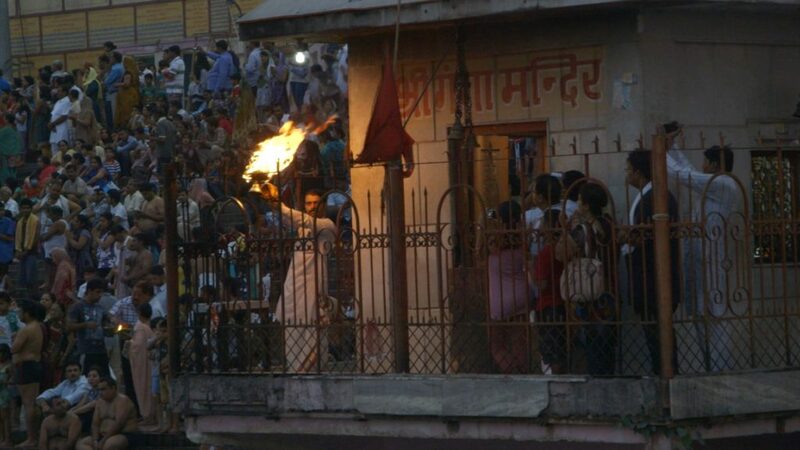 So many of our rituals like last rites of the dead or scattering of their ashes are conducted on the banks of Ganga. Its water is carried by people for use in various pujas. The Ganga’s drainage basin covers 11 states in India with the largest and most populous state Uttar Pradesh being one of them. The Ganga basin is 10,80,000 sq. kilometers and is highly conducive for agriculture. The Ganga flows through 29 cities with more than 100,000 population, 23 cities with population between 50,000 and 100,000. Its waters help in sustaining millions of Indians. A World Bank report has said that scarcity of water is going to be the biggest bottleneck for India’s development. Also, according to a recent report by WaterAid (Water: At What Cost? The State of World’s Water 2016) India has the ignominy of topping the list of countries with highest number of people living without access to safe water. India has a humongous 7.57 crore people living without access to safe water. In a country which is blessed with hundreds of perennial rivers and streams, this is a shocking statistic. However, given our general apathy towards our rivers and streams and a suicidal tendency to destroy and desecrate our fresh water resources and environment, this may come as no surprise. Given such socioeconomic impact of a river, and the current challenges that India is facing in supplying clean water to its citizens, it is a mystery that people have let the river Ganga to get converted into a glorified sewage canal with water not fit for human consumption. There was a time when the Indian population was low and conducting last rites of deceased as well as even dumping of half-burnt bodies were not readily noticeable. With increase in population, many small villages doting the banks of Ganga, grew into bigger towns and cities housing millions of people. The draining of domestic sewage into the waters of Ganga in a mass scale as well as the toxic industrial affluents from an increasingly industrialised towns and cities lead to massive stress on the river. By the early eighties, the Ganga water had become polluted enough to warrant scientists giving warnings of skin diseases. In 1986, the then Prime Minister of India Shri Rajiv Gandhi ordered cleaning of Ganga by launching the Ganga Action Plan. Little did we know that this project would continue for decades with little success. The present Government has raised high decibel rhetoric about saving the Ganga including conversion of the earlier programme to Namami Gange Mission. With a lot of fanfare the first budget of the current Government talked about spending 100crs in development of the Ghats of Ganga. However, no construction on the banks to beautify the river can cleanse it unless the cause of the sickness of the river is eliminated. Despite the rhetoric, the Government in its affidavit to the Hon’ble Supreme Court has said that the Ganga cannot be cleaned by the time the current term of this Government expires in 2019. The industries on the banks of Ganga have continued to operate without effluent treatment plants for many decades. The pollution control board officials till date have turned a blind eye to it as they are in collusion with the industrialists. This is an administrative issue which should have been solved easily. 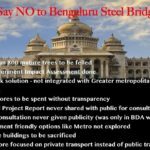 However, the corrupt pollution control board officials along with the politicians are hand in glove with the industrialists and have ensured that the untreated industrial effluents are released into the river so that the industrialists could save costs. In Feb 2017, the Supreme Court in a separate order has said that all industries running without effluent treatment plants in India would have to be shut down. It directed all the pollution control boards to issue a common notice to industries and then physically verify and shut down plants after three months if the units are running without functional PETPs (Primary Effluent Treatment Plants). 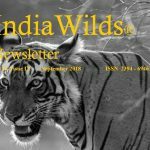 (https://www.indiawilds.com/diary/indiawilds-newsletter-vol-9-issue-ii/). In March 2017, the Uttarakhand High Court bench comprising Justice Rajeev Sharma and Justice Alok Singh has recognized the river Ganga and Yamuna as living beings and rights as juristic persons. Invoking the sacred text Rig Veda, the Uttarakhand High Court said that “the rivers have provided both physical and spiritual sustenance to all of us from time immemorial”. 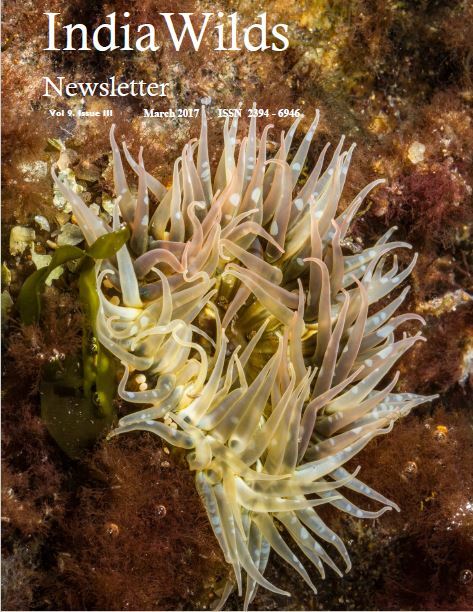 They are “breathing, living and sustaining the communities from mountains to sea”. This is supposed to grant legal rights similar to that of a human being. So it means, if you pollute the river then it will be treated equivalent to harming a person. The court has decided that the Director of Namami Gange programme, Advocate General of Uttarakhand and Chief Secretary of Uttarakhand would be custodians of Ganga. They are authorized to take action on behalf of the river. So any one who pollutes the Ganga (individual, housing society or industry dumping garbage, sewage, industrial effluents) or cause harm to it by illegal mining in its flood plains or river bed or encroaching the river can technically be penalised by these custodians. Now that Ganga has been declared as a living entity, it is to be seen how seriously the custodians take their duty of protecting the river. Will these three custodians pass on the buck among themselves when they fail to protect the Ganga and Yamuna? Declaring the Ganga as a living entity also means that when the river waters enter a persons house, then the person can technically argue in court that Ganga or its sebayats or custodians have to pay damages. However, it is also known that the flow of the river has been changed due to construction of numerous dams in the river. Due to tree felling in the forests close to the river as well as on both sides of the banks, there is a lot of soil erosion during rains and the eroded soil fill the dams and reduces the carrying capacity of the dams. (Role of Dam in floods, IndiaWilds Vol. 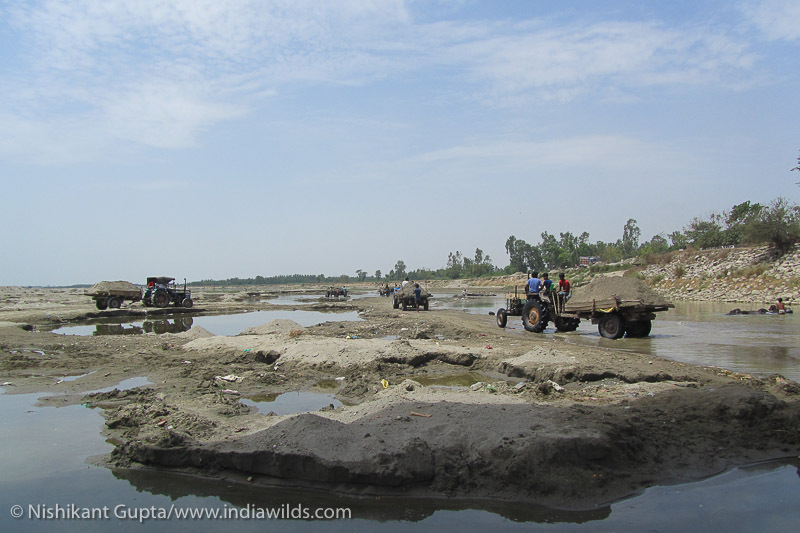 8 Issue VIII : https://www.indiawilds.com/diary/indiawilds-newsletter-vol-8-issue-viii/ ) So the flood waters during the river these days move into different areas. Will the custodians of Ganga take cognizance of this fact and take action against people felling trees in the forests and hills adjoining the Ganga river and its tributaries? During the British era, after massive protests at the British plan to build dams and stop the flow of Ganga, an agreement was signed with the British on 14th November 1916 for the continuous flow of the Ganga as it was accepted that Hindus have a rudimentary right towards uninterrupted flow of the river which is considered holy by Hindus. Unfortunately, after Independence the Government of India has failed to accept that the cultural importance of the river Ganga and continues to construct dams which stops the flow of the river Ganga. In the neighbouring Uttar Pradesh, the sand mining mafia was said to be under the active protection of a minister in the State Government. Durga Shakti Nagpal, an IAS officer who had taken the sand mining mafia was shifted unceremoniously (https://www.indiawilds.com/forums/showthread.php?12953-UP-suspends-Durga ). There are reports of people being murdered for opposing the sand mining mafia. The construction boom had lead to the increased demand for river sand. This resulted in illegal digging of sand from the river beds. Water percolates in the sand and then comes out at a different place. This helps in the river to regenerate. When the sand is mined from the river bed, the river is killed softly. Much of the cleansing ability of the river is also lost due to the loss of sand. It is like hacking away the immune system of the river. So it would be important for the custodians of Ganga and Yamuna to take up this issue seriously and take a holistic view of all the causes affecting the rivers and ensure that those causes are eliminated for the river to thrive. A river is not simply an open pipe line carrying water from one place to another. It is a thriving ecosystem of various flora and fauna lined with each other in a web of complex inter-linkages. Dams cause a great deal of harm to the river. The dams restrict the flow of the water. This ensures that the flora and fauna of the river gets impacted. With the blockage of the river waters, the fishes like Mahseer cannot migrate upstream. The otters, gharials (Gavialis gangeticus), marsh crocodiles (Crocodylus palustris), dolphins etc find it difficult to move. However, the Government is least concerned about the riverine ecosystem. It simply tries to see the amount of hydel power that can be harnessed from the river. Accordingly there are many dams constructed on the tributaries of Ganga, even as close as 5-6 kms from one another. The Himalayan mountain range being a relatively new mountain range as compared to the Andes and Alps, it is more fragile. So blasting the mountains for dams and tunnels has led to higher incidences of landslides. Will the Government rethink on the dams? The State Governments don’t care about implementing the notification regulating developmental activities in the floodplains of Ganga and its tributaries. Hopefully, the Uttarakhand High Court directive will push the Governt of Uttarakhand to take firm steps. Since the Ganga and Yamuna passes through many states, will the other State Governments and High Courts take note of the Uttarakhand High Court order? One should not be very hopeful that other High Courts will refer to this judgment in their cases and other State Governments would undertake moves to declare Ganga and Yamuna flowing through their states as Juristic persons. In 2016, the Central Government as well as the Delhi Government had acted in haste to clear the massive cultural festival of Ravi Shankar’s Art of Living foundation which was done on the floodplains of the Yamuna. The floodplains were compacted and stage constructed including pontoon bridges by the Army so that an estimated 35 lakh people could participate in it. The initial assessment of 120 crores penalty was slashed by the NGT which allowed the cultural festival to be conducted based on the undertaking that the floodplains will be brought back to previous state. (https://www.indiawilds.com/forums/showthread.php?17333-Art-of-Living-to-be-fined-120-crore-for-defiling-Yamuna ) Such is the power of Godmen in India that they take precedence over the holy rivers. In the recently held elections in Uttarakhand, hardly anyone raised the issues of Ganga and the deadly landslides of 2013. Though the National Green Tribunal has banned the camping activities on the banks of the banks of Ganga in Uttarakhand, it was seen virtually helpless against the Art of Living’s cultural festival. Holy men who have tried to save Ganga and raised their voice against unscrupulous elements have been eliminated. In 2011 Swami Nigamananda had started a hunger strike to protest against illegal mining. After 115 days he died on June 13th. Swami Shivananda, founder of Matri Sadan, had lodged an FIR claiming that Swami Nigamananda was injected with organophosphate on April 30th by a nurse in the Haridwar District Hospital following which he went into coma on May 2nd which lead to his death. Interestingly while Swami Nigamananda was on hunger strike and there were no media reporting about his health, however when Baba Ramdev was admitted to Dehradun’s Himalayan Hospital after a short fast of 9 days, virtually hundreds of reporters and cameramen landed to cover him. When there is no popular support for crusaders fighting to save a river which is lifeline to many and is considered holy in our religion, should we still nurture hopes for saving our rivers? In India when the politicians are failing the Courts are stepping up to save the environment and wildlife. However, in most of the cases it becomes too late as in many cases irreversible damage had already been done by the time the court delivers its judgment. It is imperative that citizens of this country understand their unique natural as well as cultural heritage and take steps to preserve those for posterity. Since our wellbeing is also intricately linked with the health of our rivers, forests and environment, our narrow self-interests also dictate that we take enough steps for preservation. Road construction has been the bane of our forests and trees. Many roads cut through forests and ecologically fragile areas and fragment habitats. Though some of these projects come up in news, we don’t often hear about the number of trees cut down for road widening and new road constructions. The Forest and Environment minister of Odisha has tabled a shocking statistics in the State Assembly regarding trees sacrificed for road widening. The Odisha forest development corporation has cut a total of 5,97,090 trees in the previous six years for construction and widening of 437 road projects. Out of this roughly 52% or 3,15,838 trees have been cut in the current fiscal. The Odisha Government claimed that it has planted 1.65 crore trees along 24.57 lakh km of roads in the last decade. In 2016-17, avenue plantation was taken up along 5,462 km of roads past decade. However, the minister failed to give figures of number of trees survived from the tree plantation efforts. Looking at the trees along the roadsides in Odisha one can easily conclude that the Government hasn’t given any thought about planting indigenous trees. The trees cut were all hard growth trees and the impact on carbon sequestration due to cutting down of such trees is enormous. No amount of planting saplings can compensate for the loss of old trees. Instead of cutting down old trees, the Government should have instructed to transplant the trees in other areas. Transplanting trees at one point of time was a novelty and was only practiced in US and a few western countries. However, these days tree transplantation have been done in many places in India and the Odisha Government should have done it instead of cutting down trees. 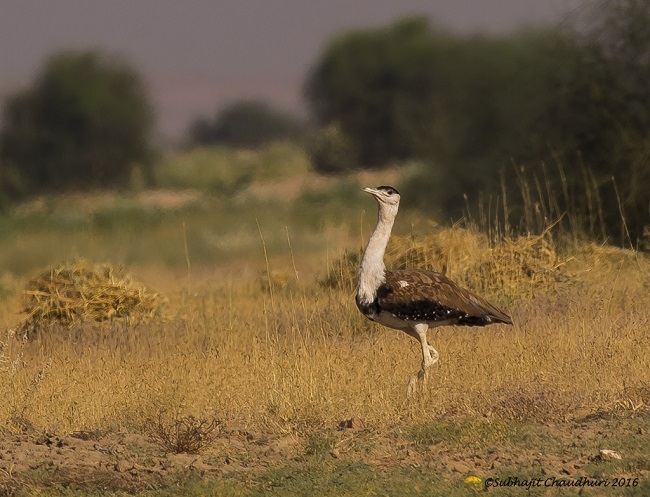 The Union minister for MoEF&CC while replying to a question in the Lok Sabha has said that a breeding centre will be set up in Sorsan in Kota to aid the conservation of Great India Bustard. The GIB Breeding centre in Sorsan will be under the technical supervision of the WII (Wildlife Institute of India) and in partnership with the Government of Rajasthan. The objective of this centre would be to breed and then release them in the wild to augment the wild Great Indian Bustard population. A breeding centre will soon be set up in Sorsan, Kota, to boost the population of Great Indian Bustard (GIB), environment minister Anil Madhav Dave said in the Lok Sabha on Tuesday. The Minister also said at present about 50% of the Great Indian Bustard habitat is under the control of Army. So a workshop was organized at the Jodhpur Command Welfare Centre to raise awareness about the important role that the Army can play in preserving the Great Indian Bustard and also to get their cooperation. He further stated that permission has been granted to radio tag six Great Indian Bustards for monitoring their movements. Great Indian Bustards have now been locally exterminated from much of their former range. With vanishing habitats and other threats like poaching, the Great Indian Bustard is facing a big challenge in its survival. The Kerala Government has plans to issue orders to kill wild boars (Sus scrofa) in areas where wild boars are reported to have damaged crops. This was stated by the Kerala Forest Minister Mr. K. Raju. The minister said that the previous order has lapsed on 2013 and he is making efforts to issue a new order. He said that according to a survey conducted three years ago, the population of wild boars in Kerala was estimated to be 47,000. 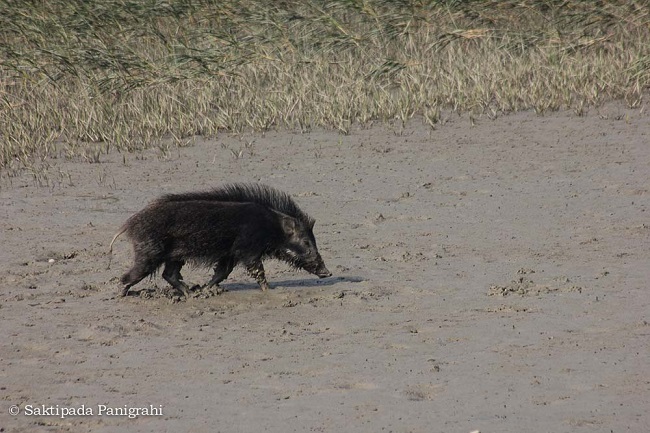 A new wild boar census is being planned. He further stated that Kerala has got a total of 16,585 kilometers of forest boundary and out of this 13,583 km has already been surveyed and demarcated. An SMS alert system has been implemented in Waynad and Munnar to warn people about intrusion of wild animals into human localities and this would be implemented in other areas bordering forests. About 15,000 kms of Solar fencing has been been set up and elephant trenches have been constructed which total to 584 kms. Two wild buffaloes (Bubalus arnee) have been successfully radio collared in Udanti Wildlife Sanctuary in Chattisgarh. The radio collaring of the wild buffaloes will help in monitoring the movement of the wild buffaloes. It can bring to light important information about their feeding habits including quality of their habitat and can also help in better habitat management. This data will be a big help in conserving this endangered species. Radio collaring a huge animal can at times be a risky proposition not only because improper tranquilisation can result in the animal coming to senses earlier and injuring the team but also a higher dosage can kill the animal. 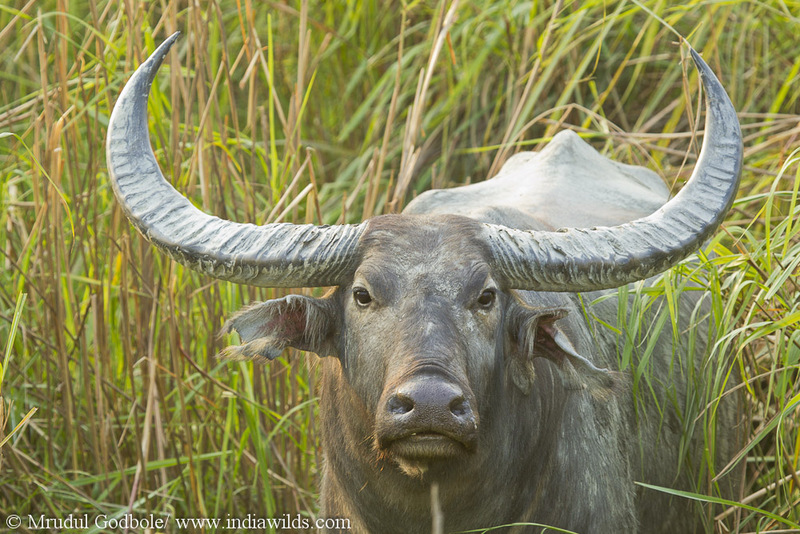 The wild buffaloes are highly endangered and any loss due to human intervention would set back the conservation efforts. So Dr. Markus Hofmeyr of South African National Parks was brought in for help in tranqulisation of the wild buffaloes. We hope that this highly endangered species can bounce back to health. In 2006 a survey team comprising officials from India Wild Buffalo Conservation Project and WTI (Wildlife Trust of India) had found that the Wild Buffalo population in Udanti Wildlife Sanctuary was only seven with only one female. 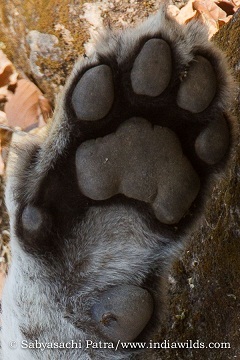 The female was kept in an enclosure. She was allowed to mate with the free ranging wild buffaloes. Now the number of wild buffaloes in the enclosure has gone up to six, which includes the original female wild buffalo and her five offsprings, four of whom are male. There are five free ranging Wild Buffaloes in the Udanti Wildlife Sanctuary two of those were radio collared. Some experts however have raised doubts about the genetic purity of the Wild Buffaloes in the enclosure. India’s Minister for MoEF&CC (Independent Charge), Mr. Anil Madhav Dave in a written answer to a Lok Sabha question has said that by and large the glaciers in Himalaya have been melting. However, the climate change has not been conclusively proved to be the cause for the melting of Himalayan glaciers. The minister said that his Ministry in collaboration with Indian Space Research Organisation (ISRO) has carried out mapping of Himalayan glaciers using Indian satellite data during 2004-07. “The study shows that there are 34,919 glaciers spread over 75,779 square kilometres in Indus, Ganga and Brahmaputra basins covering the Himalaya and Trans-Himalaya including Karakoram region.” ISRO has monitored the advance and retreat of 2,018 glaciers across the Himalayan region using satellite data from 2000-01 to 2010-11. 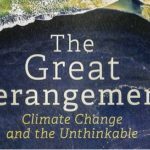 “The study shows that 87 per cent of glaciers showed no change, 12 per cent glaciers retreated and one per cent glaciers have advanced”. The proof provided he Himalayan glaciers are receding at an increased rate over the last few decades but it is “inconclusive” that global warming is the causative factor behind it, the government said on Tuesday. Environment Minister Anil Madhav Dave, in a written reply in the Lok Sabha, said the glaciers in the Himalayas have been by and large shrinking in volume and showing a retreating front. It appears India is now more or less in agreement with the Trump Presidency in US regarding climate change denial. The Ministry of Environment, Forest and Climate Change (MoEF&CC) has issued a notification to provide a six months window of opportunity to units which have been functioning without prior environmental clearance so that they can apply and regularise their illegalities. Ministry of Environment, Forest and Climate Change (MoEF&CC) and State Environment Impact Assessment Authorities (SEIAAs) have been receiving proposals under the Environmental Impact Assessment (EIA) Notification, 2006 for grant of Terms of Reference (ToR) & Environmental Clearance (EC) for projects which have started the work on site, expanded the production beyond the limit of environmental clearance or changed the product mix without obtaining prior EC. The Ministry had issued Office Memoranda (OM) dated 12.12.2012 and 27.06.2013 and laid down a process for grant of EC to such cases of violation. However, High Court of Jharkhand had passed an order dated the 28th November, 2014, declaring some of the provisions of said OM dated 12.12.2012 void and had further held that action for alleged violation would be an independent and separate activity. Subsequently the above two O.Ms were quashed by the NGT vide order dated 7th July, 2015, mainly on the ground that the Environment Impact Assessment Notification, 2006 provides for prior environmental clearance, so no procedure can be laid through O.Ms for post environment clearance. It was cited that O.M. cannot amend a notification, which is a subordinate legislation. In view of the above, the Ministry issued the notification vide S.O 804 (E) dated 14.03.2017 to bring such projects and activities in compliance with the environmental laws at the earliest point of time, rather than leaving them unregulated and unchecked. As such units are more polluting if they are not brought under the environment compliance regime, but the process for such violators has to be stringent and punitive. · This is a one-time opportunity for six months to apply for environmental clearance to units which are in violation on date of the notification i.e. 14.03.2017. · The States / SPCBs will take action under Section 19 of the E (P) Act, 1986 for violation. · All the cases of violation, irrespective of category, will be appraised as category “A” projects by respective sector Expert Appraisal Committee (EAC) at Central level. So, violation cases can only be appraised at the level of Ministry. · The EAC will first examine the proposal with an angle that the project or activity is a permissible activity at the site on which it has come up. If it is not then the recommendation of EAC will be for closure. · Respective EAC will prescribe the specific ToR for assessment of ecological damage, Remediation Plan and Natural and Community Resource Augmentation Plan (NCRAP) in addition to general ToR required under EIA Notification, 2006 for undertaking EIA/EMP. · The idea is to take away the economic benefit (if any) derived by the company due to violation and pay for the remediation of damage caused due to violation. · The plan shall be prepared as an independent chapter in the EIA report by the accredited consultants. The collection and analysis of data for assessment of ecological damage shall be done by an environmental laboratory duly notified under E(P) Act, 1986 / accredited by NABL/CSIR. · The EAC shall stipulate the implementation of EMP, comprising remediation plan and NCRAP corresponding to the ecological damage assessed and economic benefit derived due to violation as a specific condition of EC. · The project proponent will also be required to submit a bank guarantee equivalent to the amount of remediation plan and NCRAP with the SPCB. · No consent to operate or occupancy certificate will be issued till the project is granted the EC. The recently elected Uttarkhand Government has taken a decision to go ahead with the Kandi road to connect Garhwal with Kumaon region and this road will cut Corbett Tiger Reserve. The Uttarakhand forest minister Harak Singh Rawat has said that the Uttarakhand Government will construct a flyover on the road to allow animals to pass. This road will be declared a National Highway and it will be constructed in two phases. He said that Union Minister Nitin Gadkari has already approved it. The road will go from Ramnagar, Kalagarh, Pakhro, Kotadwar, Kalalghati, Chillarkhal, Laldang and Gaindikhata. The portion of the proposed road between Ramnagar to Kalagarh and then Kalagarh to Pakhro passes through the core area of Corbett Tiger Reserve. It is being done reduce the distance between Kumaon and Garhwal by 35kms and save people from paying toll tax. However, this will be disastrous for Corbett. It will completely fragment the tiger reserve. In the past, a tourist bus had hit and killed a tiger in Corbett. Same thing would happen again and again when there is continuous traffic passing through the core area of Corbett Tiger Reserve. World wide studies have shown that roads fragment the habitat and stop animals, reptiles and insects for being able to cross the road. It impacts the genetic diversity and some of the vulnerable species can hurtle down to local extermination. 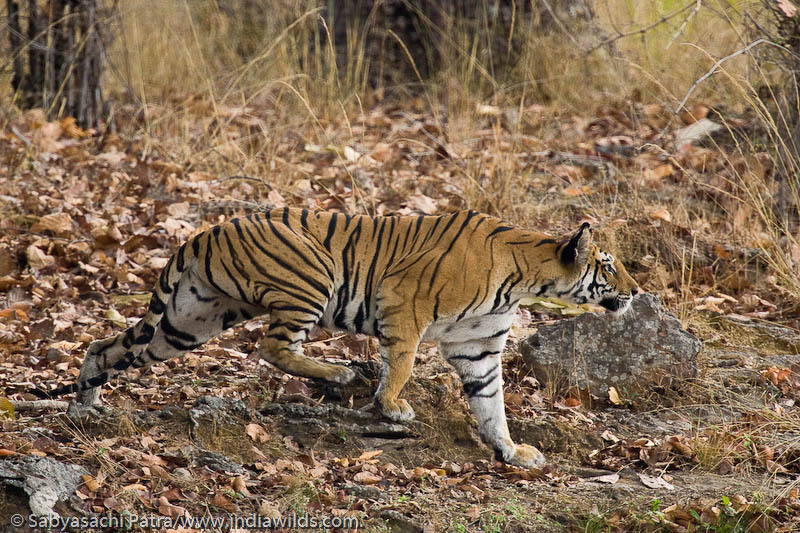 India’s Project Tiger was started in Corbett in 1973 when it was declared as the first Tiger Reserve. Life seems to have come a full circle for Corbett. The proposed road is going to act as a death knell for Corbett. 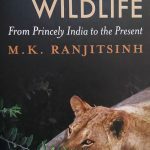 India has got incredible wildlife and biodiversity. However, these days one is also numbed by the incredible violence and stupidity displayed. 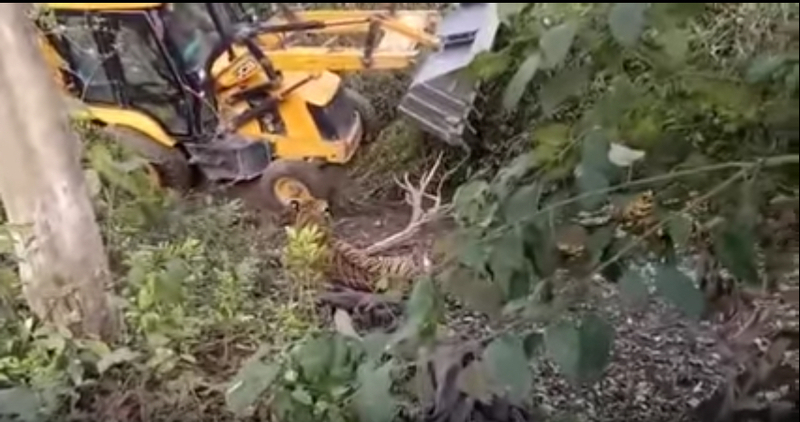 Corbett tiger reserve officials have intentionally crushed a tiger using a JCB. The official version is that they were trying to tranquilise and capture a tiger which is reported to have killed people. A video of the incident shows that a JCB is brought in near a tiger and the tiger gets up and roars. Little did the tiger know that the JCB will be used to crush it. Voices recorded in the video are shouting instructions to crush the tiger (“daba do, daba do” can be heard in hindi which means crush it. And soon the JCB pins down the tiger and then the officials rush to tie the tiger with ropes. It all started when quarrying activity were being done in the riverbed of the Dabka river in Belpadao range of Terai West forest division. During a break in the quarrying the people entered into the deeper forests to collect firewood. Apparently a tiger had got disturbed by the quarrying activities and when faced with the people killed one of them. When the group shouted and started banging cans, the irritated tiger instead of running away killed one more person and then later injured another one. This resulted in the forest department people calling a tranquilising team as well as a JCB to help capture the tiger. After the tiger was hit with the tranquliser dart, the forest department officials used to JCB to press the tiger to the ground. Later the forest department said that the tiger tried to attack the JCB and got injured and then later died. 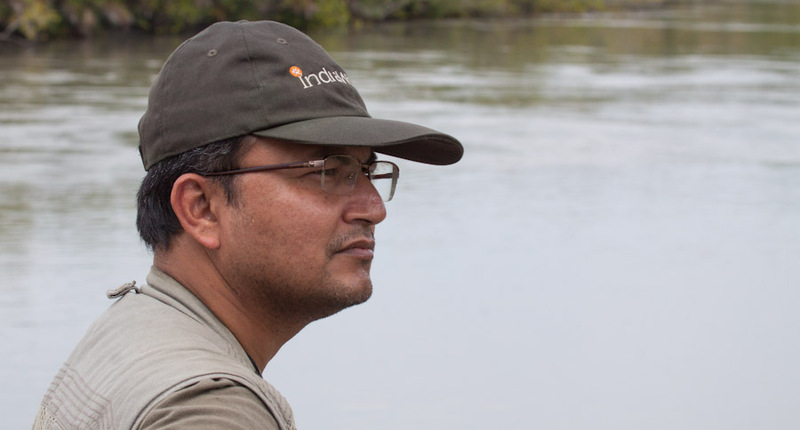 It is only last month that the Uttarakhand Chief Secretary took action against the Director of Corbett Tiger Reserve for announcing that poachers will be fired upon. The Director was immediately shifted out. This incident where the forest officials clearly using the JCB with malafide intentions Clearly the message that has gone to the field staff is to keep the local people in good humour even if that means sacrificing our tigers. This incident clearly proves the malafide intentions of the forest officials in using the JCB to kill the tiger an one shouldn’t be surprised that many such incidents are likely to happen in the future. However, they may take precautions to not allow any video recording using cameras or camera phones. If the Tiger is not safe in the Terai landscape - which was declared as our first tiger reserve in 1973, certainly the future doesn’t look rosy for the National Animal. 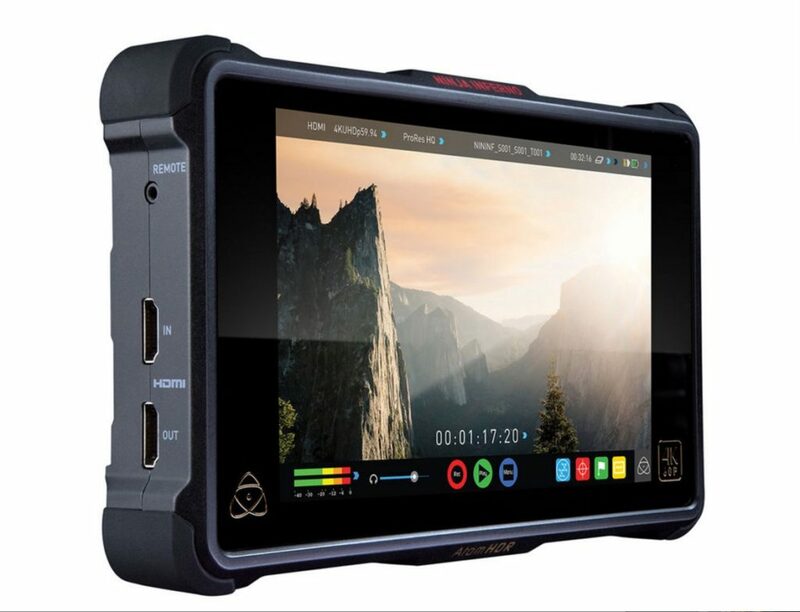 Atomos has launched the new Ninja Inferno 7” monitor recorder which can record 4K 60p in Apple ProRes or DNxHR. This monitor recorder is priced at $995 US Dollars. The recording is done to 2.5” SSD/HDD media. It has dual Sony L series battery slots to power it and one can hot swap batteries. The Ninja Inferno appears to immediately target the Panasonic GH5 camera customers. The GH5 can record 4K 60p internally at 4:2:0 colour space at 8 bits. However, it can send 4K 60p through HDMI port to be recorded externally at 4:2:2 colour space and in 10 bits. On paper, that is going to significantly change the quality of the files. Apart from UHD, the Ninja Inferno recorder monitor can also accept true 4K DCI (4090x2160) signals. It can record Full HD 1080 at 120p. The Ninja Inferno has got a touchscreen panel which is 1920x1200 pixels and is colour calibrated in the factory. It has got 1500 cd/m² brightness, so one can easily view the screen in bright daylight conditions. This monitor has built-in presets to show how an edited log file will look like from Canon, Sony, Panasonic, JVC, RED and ARRI cameras while recording completely uncompressed files to the attached SSD/HDD drives. The Ninja Inferno also includes 10 pin LEMO for audio input or output. 48 V phantom power is provided for microphones. This monitor recorder also has got a HDR mode with 10 stop dynamic range. Unfortunately at the moment none of the Canon DSLRs or Cinema cameras output 4K 60p over HDMI. Hopefully it will change in future due to pressure from competition. The Ninja Inferno monitor recorder is 8.4 inches x 5 inches and 1.8 inches thick. Without batteries and media the weight of Ninja Inferno is 0.6kg. With batteries and media it can weigh 1.1kgs. The Torch LED Bolt 250 light which can be mounted on camera for some quick fill light. This light is said to leverage a newly patented Refractory Lens Technology which helps in providing a 250W equivalent light output. It is 40% thinner than its predecessor, the Bolt 220R. Interestingly unlike most of the on camera mount lights, the Torch LED Bolt 250 lights has a single dial on the back which helps set the colour temperature between 3200 to 5600K depending upon the on-set requirements. It can can also be dimmed from 0-100%. The light draws only 13W of power and can be powered via Sony L series battery packs or with the included D-tap power cable enabling the use of longer-lasting 14.4V brick batteries. It also has a wireless remote which allows the control of the Bolt 250 LED light from up to 250 feet away (non LOS). The nine channel remote control allows users to control on/off, select color temperature and adjust light intensity. With the remote capability, users can easily adjust light settings at the tip of their fingers. Additionally, it allows users to bank up to 10 lights per channel, allowing for control of the lights in unison. The magnetic diffusion filter is a big help as one can easily fix it without any clamps. 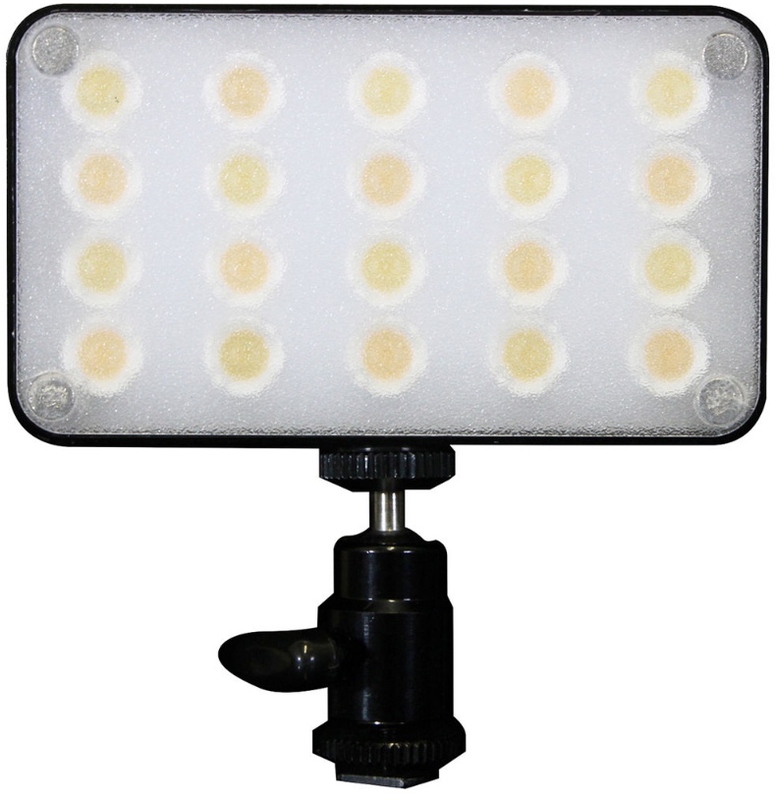 The Bolt 250 Led light is 5.23 inch long, 3.05 inch in height and 1.7 inch wide. It weighs 270 gms. The quality of the light output is good and is >95 CRI. The Bolt 250 comes with a Powertap Cable, Magnetic Diffusion Filter, 9 Channel Remote control, 1/4-20 Swivel Hot Shoe Mount, TLF970 L-Series battery pack(7000mah), and L-Series Battery charger. Blackmagic Design has announced the Ursa Mini Pro camera with 4.6K resolution at 60p. It shares the same Super 35 sensor as the Blackmagic Ursa Mini camera, however the form factor and features are different. According to Blackmagic Design (BMD) this Ursa Mini Pro 4.6K camera is aimed at broadcast. This camera can shoot either in Apple ProRes 444 or 422 colour space or in CinemaDNG. The CinemaDNG files can only be recorded to CFast 2.0 cards. The Apple ProRes files can be recorded to CFast 2.0 cards and lower resolutions can be recorded to the UHS-II SD cards. A total of two CFast 2.0 card slots and two SD card slots are included in the camera. ND filter is in-built which can be engaged by rotating the ND filter wheel to set 2 stops, 4 stops, 6 stops or clear filter. According to Blackmagic, the IR filters in the Ursa Mini Pro have been designed to filter both optical wave lengths and IR wave lengths evenly to eliminate IR contamination of the images that most ND filters can suffer from. The Ursa Pro Mini comes with EF mount which can be interchanged to other PL mount, B4 or Nikon mount by the user. According to BMD apart from the 4.6k 60p, the Ursa Mini Pro can also record slow motion upto 120 fps in 1080p. The Ursa Mini Pro has a small 4” capacitive touch screen LCD monitor. This also lets a user play the file and directly input metadata into it which can be easily read in a NLE for easier organising files while editing. The URSA Mini Pro has 12G-SDI out, HD-SDI monitoring out, 2 LANC inputs, balanced XLR audio which provides 48V phantom power, timecode in and reference input. For broadcast lens use, there is also a 12 pin Hirose connector on the front right. For power, there is a 4 pin XLR DC and an HD-SDI monitoring output. The 12G-SDI output handles all formats up to 2160p60 using a single BNC cable, and also switches to 6G-SDI or HD-SDI depending on the shooting format. There is a USB Type C slot for firmware updates. The Ursa Mini Pro also has a stereo microphone integrated into the body so one can record ambient sound with it. The Ursa Mini Pro doesn’t come with a viewfinder. So if you prefer to shoot with a viewfinder, then you have to buy a viewfinder from BlackMagic or from other suppliers. The Blackmagic Ursa Mini Pro is priced at $5995 US Dollars. At this price, it is expected to be very competitive as it is much lower than the Sony FS7 and the Canon C300 Mark II cameras. It’s high ISO ability won’t be any match for the Canon or the Sony cinema cameras. 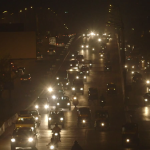 So its use in unscripted documentary situations would be limited, unless one is in control of lighting. For interviews, shooting in daylight and in studios, this camera is expected to do well. Given the fairly robust codec in form of Apple ProRes 444 or ProRes 422 as well as the option to shoot raw in CinemaDNG format, if one has the time and resources then the files can be graded well. The Ursa Mini Pro is 8.2 inches long, 8 inches tall and 5.8 inches wide. It weighs 2.3kgs and unlike other blackmagic cameras the Ursa Mini Pro is shipping now. Given the highly competitive price, we guess many people would order it.